SCI Foundation has been proud to partner with Namibian Association of CBNRM Support Organizations (NACSO) over the past few years, helping to promote the great conservation success in Namibia, which is considered one of the greatest wildlife conservation stories in the world. Utilizing grants from USAID, NACSO has been successful in providing state-of-the-art tools and training to the communities that live with wildlife and benefit from sustainable use activities. As valuable as technology and training are, the backbone of this success is the ability to change hearts and minds. Training and tools are nothing without the will to protect wildlife and exercise stewardship over one’s own natural resources. NACSO is dedicated to ensuring that the use of special technology, weapons, and tactics is done as efficiently and successfully as possible. Wildlife stewardship has become far more than a job opportunity as 1 out of every 10 Namibians belong to a communal conservancy. Working to ensure that income from hunting and wildlife sales will go directly to those living in the conservancy area is now one of the best career options in Namibia. But, it isn’t enough to simply train Community Game Guards (CGG) and pay them for their work protecting valuable and vulnerable natural resources. Without maintaining a positive environment while fostering the personal growth of the community’s game guards, the Namibian Association of Conservancy Support Organizations (NACSO) cannot succeed. SCI Foundation is proud to continue supporting the successful anti-poaching efforts of NACSO and their innovative training and mentorship program. Mentorship is an essential part of most professions, and being a CGG is no different in that effective mentors convey a willingness by the organization to invest in its employees. Since July 2017, the #Khoadi //Hoas, Ehi-Rovipuka, Omatendeka and Nyae Nyae conservancies have begun a pilot mentorship program to foster leadership skills and encourage new CGGs to become future leaders. Motivation is the key to keeping environmental stewardship interesting as a career in places where young people often leave for economic opportunity and don’t return. This incentive also serves to persuade anyone who is considering becoming a poacher to think twice. Some poachers who were formerly scouts or even rangers most likely did not have an active mentorship program and had poor morale in the workplace. This type of innovative training is essential if Namibia hopes to maintain the level of conservation success for which it is already famous. 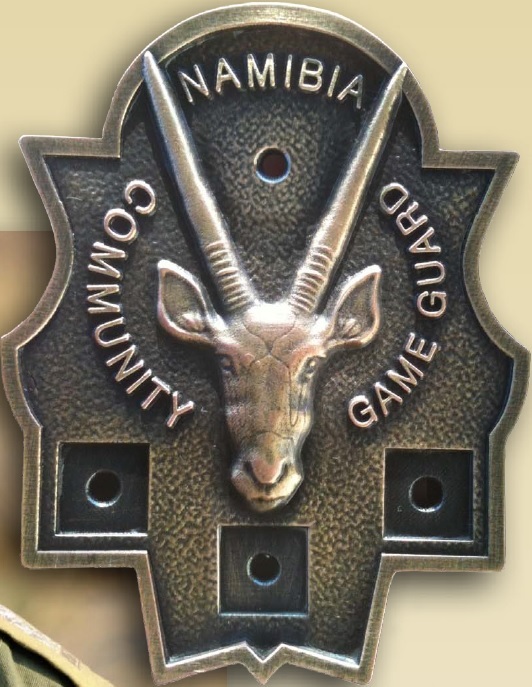 Community Game Guard training in Namibia is still evolving. The Namibia Training Authority (NTA) commissioned the development of Sector Skills Plans. These eight-part plans are aimed at identifying which conservancies need the most help and training, then fund them via the National Training Fund. Although a CGG might be experienced and have held the position of CGG for many years, they may not have the anti-poaching skills necessary to be as effective as possible. The Sector Skills Plan is changing that by sharpening the skills of more experienced CGGs while mentoring younger CGGs who may just be starting. SCI Foundation applauds the dedication of NACSO for its efforts to ensure the use of special technology, weapons, and tactics is done as efficiently and successfully as possible. SCI Foundation is deeply invested in Namibia’s success, and we are eager to continue working to support the conservancy movement in Namibia, which is responsible for remarkable recoveries by lions, elephants, rhinos and other wildlife. Stay tuned for more updates from one of the best places to hunt and be a part of true conservation prosperity. To learn more, visit SafariClubFoundation.org.